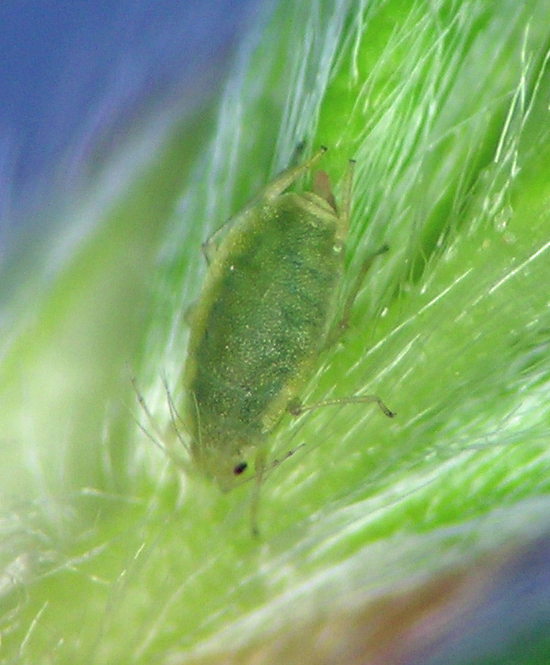 This is a genus for several small aphids that feed on roses and Potentilla. It appears that one species is native to North America (M. canadensis), while one is invasive here (M. rosarum). I have collected both of them, the former without photos but in an unexpected place: New Mexico (considering that the original description was from Ontario, Canada). During 2017 I had the privilege to collaborate with colleagues in Poland and Georgia (the country) on some revisionary work on Myzaphis — my role was small, but my far-flung collecting habits paid off. Kanturski M., S. Barjadze, A.S. Jensen, K. Wieczorek. 2018. 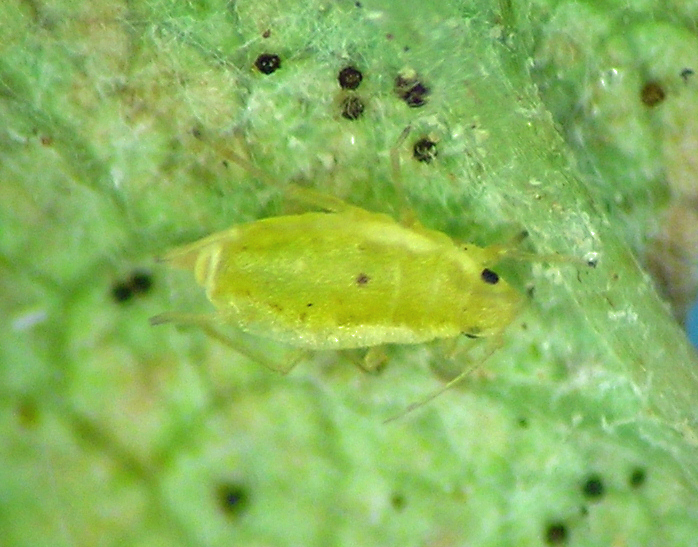 A comparative morphological revision of the aphid genus Myzaphis van der Goot, 1913 (Insecta: Hemiptera: Aphididae) revealed a new genus and three new species. PLoS One, 13 (3): e0193775. https://doi.org/10.1371/journal.pone.0193775. This species was probably native to Europe, but is now almost everywhere. I have collected it twice (Washington and Oregon) on cultivated Potentilla fruticosa. I collect very frequently and with determination on this plant, yet have only seen Myzaphis a few times. Myzaphis rosarum in our yard in Oregon in October.